An echocardiogram is a diagnostic procedure performed by a cardiologist or trained specialist, which provides a clear picture of the heart and surrounding blood vessels. It is recommended by the doctor when it is suspected that you may have a problem with your heart. It is different to an ECG (electrocardiogram). 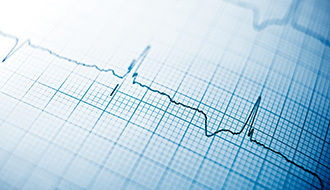 ECGs detect electrical activity, whereas echocardiograms are used to diagnose structural issues, assessing blood flow around and through the heart, and how well the hearts chambers are working. Echocardiogram is an ultrasound scan, carried out using a small probe which is passed over the skin, sending out sound waves that create echoes when they hit different body structures, which are transformed into images which are displayed on a monitor. A cardiologist may recommend that you have an echocardiogram in any case where there seems to be an issue with blood flow around the heart. 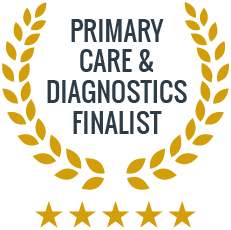 The scan can help us to detect whether you have suffered any damage to the heart following a heart attack, whether you are at risk of heart failure, cardiomyopathy or endocarditis, or whether you have congenital heart disease. The results of the scan will also help us to understand which are the most effective methods of treatment for you. The most common form of echocardiogram is a transthoracic echocardiogram, where an ultrasound probe is moved across your chest. Depending on your symptoms or existing conditions, other types of echocardiogram that may be recommended include: Transoesophageal echocardiogram (TOE), where the scan is taken from inside the stomach, via the throat, a stress echocardiogram, taken just after a period of physical exertion, and a contract echocardiogram, for which you will be injected with a contrast material before the scan, which often provides more accurate results. Give us a call to make an appointment with one of our cardiologists who can evaluate your symptoms and condition and advise regarding any diagnostic procedures that may be necessary. Brugada syndrome is a rare condition, passed on to family members genetically, which affects the electrical signals that pass through the heart. It is the main cause of sudden death syndrome (SUDS or SADS). This condition does not always have symptoms, until it proves fatal. In some cases, patients will experience palpitations, chest pain, seizures, fits, or blackouts. Brugada syndrome is diagnosed using an anti-arrythmic drug called ajmaline, which is injected into your arm during an ECG.